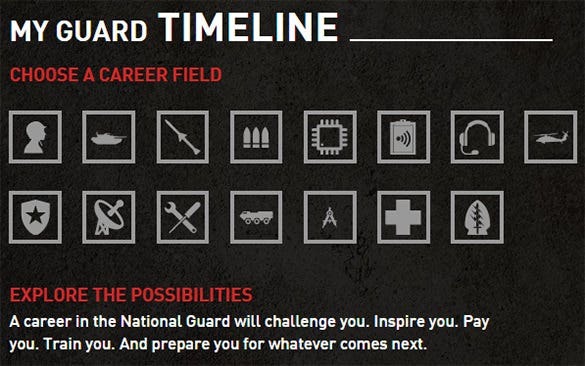 A career timeline features the jobs you have taken up within a set time period and the designations you have covered. It is useful while presenting your resume to your prospective employers. 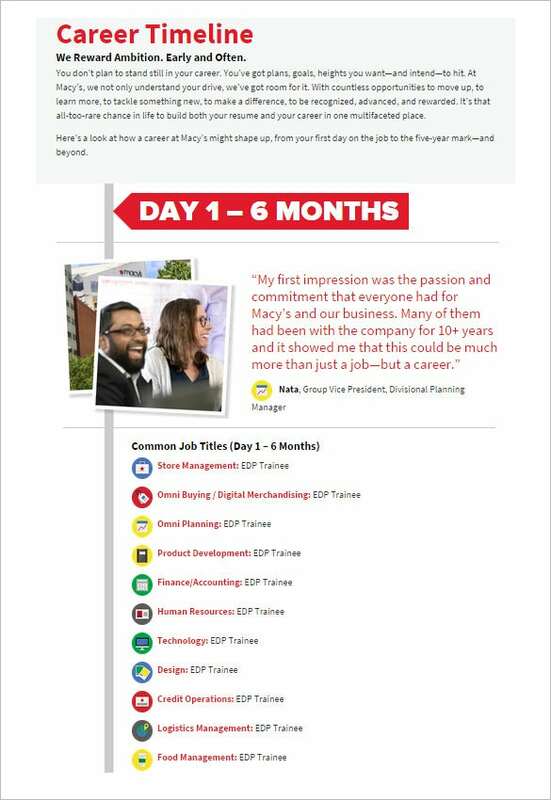 Are you too looking to create a career timeline and need help? 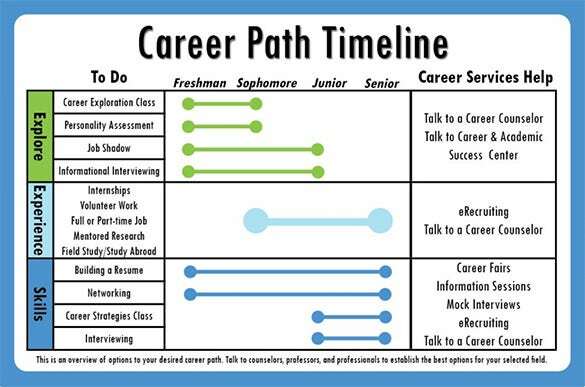 Well, you can go for attractive career path personal timeline template options found online- these are free of charge most often. 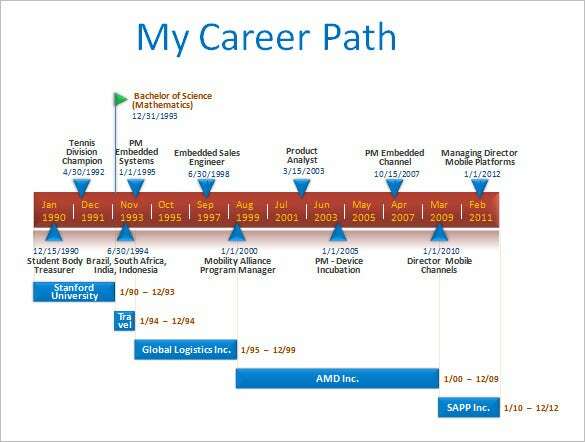 This PPT career timeline template here offers you a brief to feature your career over the years. The timeline will allow you to present the growth over every 2 years since the start. 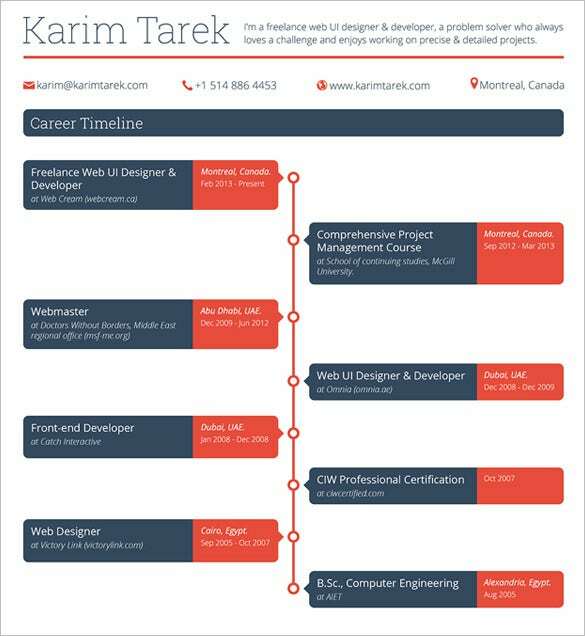 This is an interesting and smart way to present your career timeline in PSD format where you will have an alternate form of presentation. The dual color scheme assures easy comprehension of different data. 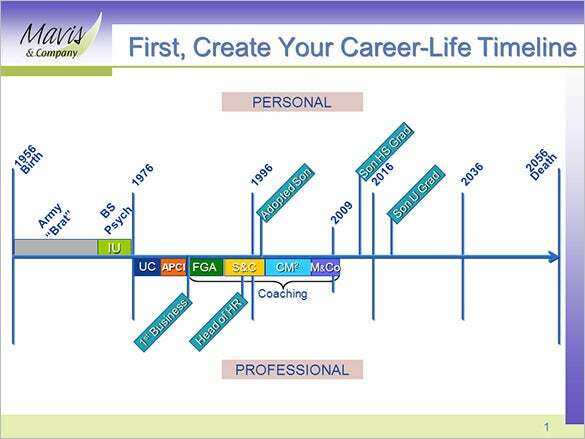 If you want to present your career timeline through images that will define the different career stages or designations of your life in a unique pictorial format, this template is the one for you. This smart career timeline template enables you to start right from the different courses you have taken to initiate your career and the jobs you have done over the years till today- the data is featured in specific time intervals. 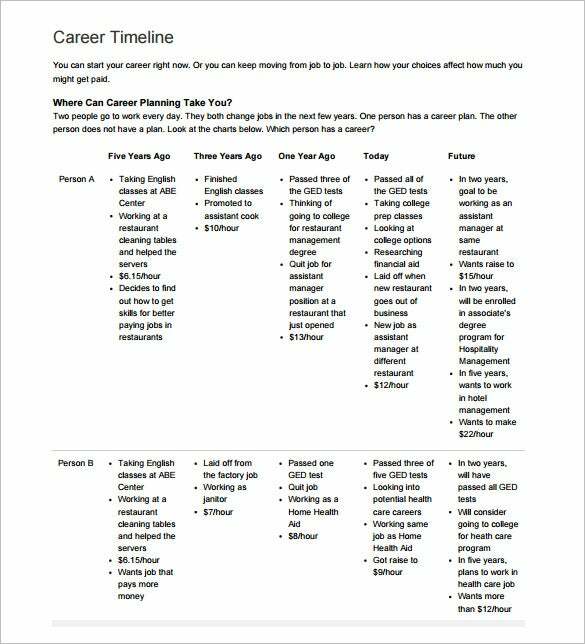 The career timeline templates available online offer you a readymade sample for a career timeline so that you are not needed to create the whole structure. 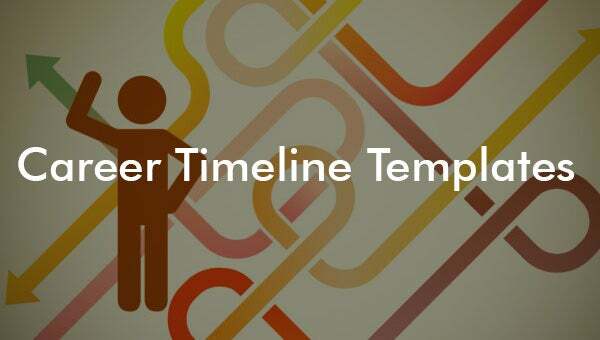 Your task is to modify the timeline templates with your own specific career data.